Use the filters below to find exactly what you need. The Vodacom Durban July, the greatest racing, fashion and entertainment extravaganza on the African continent, takes place at Greyville Racecourse. Television has brought great sporting events right into the living rooms of homes around the world but there is still no substitute for being right there, in the middle of things to experience the sights, the sounds and, above all, the adrenaline rush that comes with live action. The Vodacom Durban July is probably one of the oldest horseracing events in the country. The first race was run in 1897 and was contested over 1.6km, and ever since then it has become an event not to be missed in South Africa. This event calls for celebrities, socialites and the elite to show off their outfits, their bets and their social skills. The excitement of Vodacom Durban July surpasses that of any other event on the African continent, with huge crowds expected on course and millions of others around the country taking serious bets or having their annual flutter. A range of Southern Africa’s’ best tourism products while attracting international buyers and media from all corners of the world. INDABA is the largest tourism marketing event on the African calendar and one of the top three “must-visit” events of its kind. 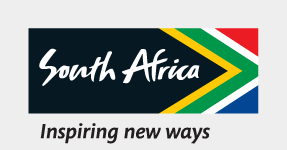 INDABA is owned by South African Tourism and has won the awards for Africa’s best travel and tourism show. This award was presented by the Association of World Travel Awards. Exhibitors include provincial authorities, provincial products and African countries. At the Durban ICC (International Convention Centre), exhibitor categories include accommodation, tour operators, game lodges, transport, online travel, media publications and industry associations. Outdoor exhibitors include transport, camping and safari companies. INDABA has a dedicated following of local and international media that provides extensive coverage of the exhibition for the local and international markets through radio, television, newspaper and dedicated travel publications. South Africa’s streets, shores and vineyards are lined with so many incredible restaurants, it’s a hard task narrowing them down into a short bucket list. Gin is the buzzword on everyone’s lips in Cape Town at the moment. If calamity were to strike humanity, and archaeologists of a distant future were to enquire about how we lived, they would draw upon our architecture to paint a picture of who we were. King Shaka kaSenzangakhona has been portrayed as a blood-thirsty dictator who ruled through coercion and instilled fear in his people. Contrary to these misrepresentations, early colonial accounts portray him as a keen international trader who went out of his way to protect the traders between 1824 and 1828. African ancestors continue to give Africans a shared and personal sense of self-affirmation, identity and unfettered belonging. Zulu cuisine is still very much influenced by tradition and its celebration of history and a commitment to culture. The food story of South Africa. 4/9 NB! Remember to use #InstaMeetSouthAfrica and tag our hosts from South African Tourism (@meetsouthafrica).